The Dennis Farm Charitable Land Trust advanced its educational mission during the fall semester through a Landscape Architecture seminar, “Landscape, Heritage and Agrarianism” organized by Cecilia J. Rusnak, ASLA, Department of Landscape Architecture, Pennsylvania State University, University Park. The seminar focused on heritage, preservation and the rural, particularly agricultural landscape in creating a heritage site master plan for the entire 153-acre site. In preparation for studying the farm in a broad context, the seminar examined select National Register of Historical Places sites and National Heritage areas. They, also, examined various dimensions of heritage interpretation. Research included a field trip to Virginia where they visited the Museum of the Shenandoah Valley, Monticello and other sites. On October17, the students divided into three teams to “craft” a narrative for the farm that focused on interpreting the site’s landscape history through its materiality. Then, on October 24, the seminar held a half-day workshop to generate ideas about how the farm landscape could be designed and managed to serve the interpretive goals of the historic site. DFCLT President, Denise Dennis, board member, Wade Catts, RPA, and Tom Scofield, AICP of John Milner Associates participated in the workshop, contributing ideas, insights and critical feedback. Each of the three teams then created a detailed, innovative landscape concept, or master plan, for the Dennis Farm. In November, the students produced a publication of each master plan that includes text, drawings, and photographs, which they presented to DFCLT. The publication was part of a formal presentation of their concepts at Penn State, which Dennis, Catts and architect Phil Yocum attended. The students’ three landscape concepts are: A Dynamic, Temporal Landscape by Matt Fichter, Chris Maurer and Katie O’Malley, Inside-Outside by Erin DeRocini, Emily Carlson and Sunho Kim; and Journey by Amanda Clerkin, Matt Dallos and Sam Kim. Elements from each concept will be included in the landscape design of the Dennis Farm. 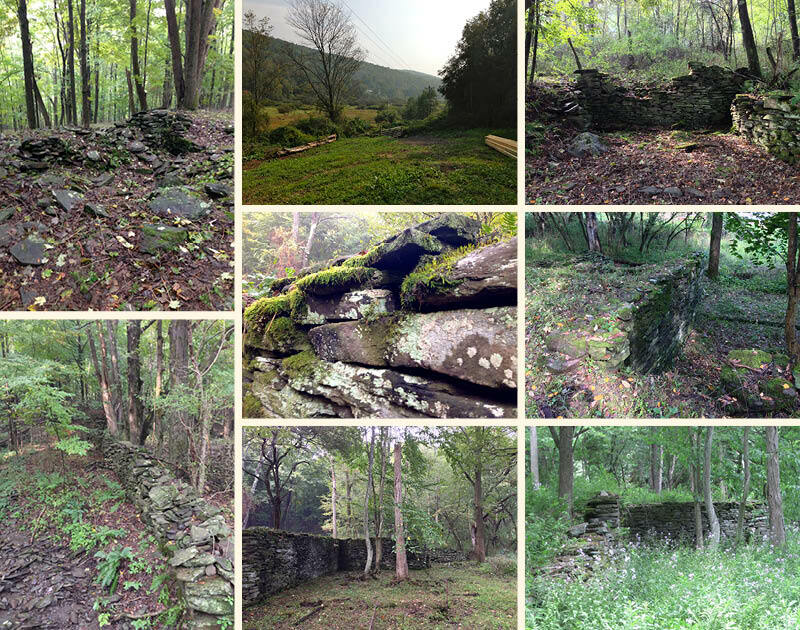 Following is a collage of photos taken by students from Penn State University’s Landscape Architecture seminar, “Landscape, Heritage and Agrarianism”.